In May of 2011, the future of the Augusta Boxing Club was in financial limbo and was days away from being forced to move from the expansive location in Richmond County, where it had operated from for the past 17 years. At the eleventh hour, an unlikely benefactor quietly prevented the knockout of the gym. François Léger stepped up with financial backing to keep the club running, saying it was important to him that the youth of the community have a place where they could stay out of trouble and stay in shape. He became an instant hero to more than 100 members of the club and to hundreds more residents of Augusta. 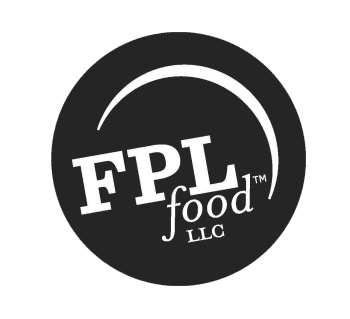 Léger is founder and CEO of FPL Food, LLC, a stealthy-but-successful beef -processing firm that was the first of several local businesses to support the club to ensure it would remain a long-term fixture in the community. This wasn’t the first time Léger put his money behind something he believed in. He also put his heart, soul and even his initials on the beef company he founded in 2004. Since 2004, FPL Food LLC has grown quickly, from two plants in Augusta, Ga., employing 400 people, to four facilities in Georgia and South Carolina, with upwards of 800 employees and annual revenues topping $350 million. The company was founded by François Paul Léger as a harvesting plant and manufacturer of boxed beef and ground-beef products. In many ways, though, he started from the bottom, working his way up through the ranks, an unlikely contender in an industry of ominous heavyweights. “I founded FPL and created a new company and a new identity,” says the 51-year-old Léger. He already knew his way around meat-processing plants when he started FPL, thanks, in part, to spending 20 years working internationally for Keystone Foods and his experience in the retail fresh-beef industry in France, not to mention his rural European upbringing. A current US citizen, Léger grew up in France on the farm. “That’s how I came to the meat industry,” he says. In a family of 10 children, Lé-ger’s older brothers were already running things on the family farm by the time he was old enough to have decided that was his interest as well. “So, I could not stay on the farm,” he said, and went out on his own to make a living in the beef business. One of his first jobs was loading trucks with shipments of beef. “At that time, we were carrying the meat on our shoulders,” he recalls. Eventually, he began working in the plant’s boning room. After several years, he crossed paths with an executive from Keystone Foods. He began working with Keystone in the late 1980s and ultimately spent 20 years working at the global company, at operations in France, Australia, South America and in the US. During his time in the US, Léger saw a golden opportunity to develop an integrated-beef business in the southeastern part of the country. act on what he felt was a sound business strategy. “What attracted me to this area was based on my experience in Australia,” he says. “I saw a geographical position that was advantageous. From where I am, I can combine harvest capabilities with manufacturing capabilities in the middle of a densely populated area. I found that very attractive.” And so was born FPL Food LLC. Each year since 2004, Léger and his growing team have made substantial investments inproperty, technology and staff to become the largest, privately owned, vertically integrated beef company in the Southeast. Building a leadership team and staff proved to be a hurdle in getting the business going. “That was one of the biggest challenges I faced,” says Léger. “When I took over in 2004, I was not able to hire people,” he says – although he had taken over the assets of an existing operation, including two plants, the equipment and rehired employees. However, he says, “It’s very difficult to attract people in the beginning stages of growing a new company.” Compounding the challenge: Léger was starting up a new beef-processing company just months after the first discovery of bovine spongiform encephalopathy (BSE) in the US in December 2003. “I was right in the middle of this,” he recalls. From the beginning, Léger says his was the only beef company that adopted a policy of not allowing any meat from downer cattle into the supply chain. “No downers were going to go into my harvest facility. That was clear in my mind,” he says. He adds that FPL was the first slaughtering facility in the US to utilize remote video auditing at its plant in Augusta, to ensure animal-welfare standards were being met. Using technology and auditors supplied by Mt. Kisco, NY-based Arrowsight Inc., the Augusta plant was used as a benchmark for what would become a flurry of other processors adopting RVA to improve animal welfare, as well as food safety. The company was also an early adopter of DNA traceability technology as a food-safety measure starting about four years ago. Today, its beef products are 100-percent DNA traceable. the company’s growth and success. Lee Bonecutter, FPL’s vice president, worked in the meat industry for about 30 years before being referred to Léger by a colleague who worked in economic development in Georgia. Next, Cimberlie Elkins was brought on board, initially to work in accounting, before Léger saw her talent and promoted her to CFO after only a few months. “Hiring people, says Léger, is like playing poker,” Léger says, “because you never know who you might meet or how it’s going to go.” Fortunately for FPL, Léger says the management team he has built not only understands the vertically integrated business, but their approach and commitment to the company is also integrated. An industry veteran, Bonecutter says Léger’s formula for team building has worked. “It’s all about the people here,” he says, adding that everyone is aware there is just one stockholder. “We all report to Francois – after all, he has his initials on every box that leaves here.” The leadership team agrees that not working for a giant corporation and instead for one stakeholder generates a sense of ownership and loyalty. The leadership team regards Léger as a generous, innovative, direct and hands-on boss. When one of them characterizes his management style as: “He trusts… but verifies, too,” all of their heads start nodding in unanimous agreement and smirks spill across each of their faces. FPL’s farm-to-fork approach requires the management team, as well as the plant workers, to understand how what happens at one end of the operation ultimately impacts the final product. It benefits customers by allowing the company to be more nimble. “The vertical process is unique,” Bonecutter says, “and the structure is pretty flat.” It is a structure that is conducive to flexibility and unencumbered decision-making, which he says customers and FPL employees appreciate. “It isn’t time-taking,” Bonecutter adds. of us directly,” he says. After founding his company in Augusta, Léger faced plenty of challenges, including competing in a business with a background that was very different from executives with other beef companies. “One of the things I had to face initially was being a foreigner,” and competing in a US industry that tends to be somewhat fraternal. But playing nice with other beef companies was not a priority in Léger’s business plan. After all, they are competitors, he says with a smile. On the other hand, getting along with customers and sharing the story behind FPL proved to be the most important relationships for him to cultivate. “I have been fortunate to gain experience in the meat industry from feeding to processing cattle,” says Léger. In 2008 and 2009, value-added products became a stronger emphasis when the company added a third plant to its production in Columbia, SC, at a plant that was initially leased. 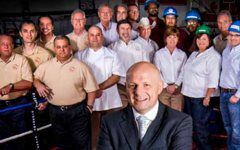 With the production at this facility, which was formerly owned by OSI, the company earned its first foodservice customer and increased its presence in both the foodservice and added-value segments. FPL also began experimenting with DNA-based traceability technology, which would eventually be adopted system-wide. In 2010, FPL purchased the plant and increased its ground-beef processing volume to retail and foodservice customers. The goal is to maintain a diverse customer base, which includes retailers like Walmart, Kroger, BJ’s and others, while increasing partnerships with foodservice suppliers. The campaign to grow the foodservice business was bolstered in 2011 by adding portion-control and marinated products to FPL’s offerings. During the year, foodservicedistributors grew from 10 to 16 and the company’s total employees topped 800. Halal processing practices were also adopted the same year, which served to bolster the export business of FPL. Most recently, FPL purchased what is now known as Chatel Farms, a 1,060 acre ranch in Southeast Georgia, where FPL feeds a growing number of cattle destined for its plant, for 75 days on 25 different pastures. “The Farm” was purchased in 2011 and signals another step toward Léger’s goal of vertical integration, from farm-to-fork. It was purchased with the intent of boosting supplies during the holidays, when the cattle auctions typically become harder to find. In late November, approximately 2,500 head were feeding at the segregated facility, as the company geared up for holiday production. For now, says Bonecutter, “It’s a supply buffer,” but ultimately, it could provide an increase of cattle to supply the Augusta slaughtering plant. FPL Food’s slaughtering plant in Augusta has become an historic fixture in the area, with parts of the building dating back to the 1920s, well before it was acquired by FPL. Inside, however, the technology and operations are continuously updated to utilize the latest innovations in productivity and food safety. The most recent renovation was in 2010, when the fabrication side of the plant was updated to facilitate the growing volume and varieties of cuts for FPL’s customers in the US and abroad. Garrett, the COO, says the facility’s harvest side is slated for capital improvements next. Plans are being made for wide-scale improvements within the next year, from the crowd pens all the way to the skinning area. Inside the plant, the hot box is capable of housing 1,600 carcasses, where they are quality-sorted and held for a 36-hour chilling process. Each carcass is tagged for traceability purposes, “all the way back to the barn,” Garrett says. Garrett and his team are also always on the lookout for opportunities to save energy and realize efficiencies. In parts of the plant, a variety of LED lights are being tested to determine the feasibility of this energy-saving technology. In the name of efficiency and as part of its recycling efforts, the plant utilizes reusable plastic combo bins throughout its system. Currently, approximately 550 are used across FPL’s plants. “We constantly look for small things we can do that make a big difference,” Garrett says of the vigilant quest for operational efficiency. Just an hour from the slaughtering and fabrication plant is FPL’s ground-beef and further processing facility. With about 95 percent of the raw material being supplied internally, the Columbia plant produces ground beef, fresh patties, case-ready cut steaks and branded retail products to supply various retail customers. More than 400,000 lbs. of products are processed per day using lines dedicated to overwrapped ground beef; lid-stock and chub lines. About 220 workers split two shifts at the facility. Given the retailers FPL supplies, shelf-life specifications are critical. Overwrapped trays are packaged in mother bags to provide a shelf-life of 21 days. Meanwhile, the chub-packed ground beef has a shelf-life of 20 days without any extra packaging measures, making it the most economical product to process. Several value-added products, including a recently introduced, ready-to-cook Chatel Farms meatloaf, and Halal-certified case-ready cut steaks are processed on the MAP line. FPL’s latest plant acquisition was in July 2012 when its $8.3 million offer was the winning bid at a bankruptcy auction to sell the former AFA Foods ground-beef plant in Thomasville, Ga. After acquiring the 90,000-sq.-ft. plant in July, the company spent several months renovating it to facilitate frozen-patty production for the company’s growing number of foodservice and retail customers. With production scheduled to begin this past month, the plant will ultimately employ about 200 people at full capacity, producing upwards of 2 million lbs. of frozen ground beef per week. Putting the ‘great’ in ‘integrate’ Léger’s vertically integrated business model is based on operational control from farm-to-fork. On any given day, he has buyers attending as many as 30 auctions around the southeastern United States with a daily target of buying about 1,000 head. Léger views the business as a farm, slaughtering facility, a grinding operation and a further processor, that work together to produce value-added products and raw materials. “You need to be very flexible between harvesting cattle, buying meat and putting it on the plate,” he says. “And everyday things change. Harvesting at 100 percent capacity is not my priority. Optimizing profitability is my priority.” “We buy cattle and we try to be selective,” when it comes to the quality and attributes, Léger says. Once slaughtered, the quality and attributes are graded and segmented into “their butcher values” that are required by FPL’s customers. When he first started the business, Léger established a different approach when purchasing cattle using a method that worked best for FPL, but that raised the eyebrows of many. With buyers at auctions daily, Léger still makes sure each of them have an updated list of grades and the corresponding price for the grade categories, types of cattle and target weights. “We don’t work with average prices. Our preferred buy is to buy on the rail. This means we send pricing out and the cattle are sent to us; we review the grade and communicate the grade and pay for what it is. For me, that’s the best and fairest way,” he says. FPL purchases about half of its cattle on the rail, in fact, while the other half is purchased through auctions every day.